Join One Story as a supporting member today! We started One Story to fill what we saw was a gap—a need for a magazine that presented great short fiction by today’s best authors in a novel way. As the organization grew to include One Teen Story, education and literary events, so did what we call the One Story family. Our family is the community of subscribers, writers, students, and supporters that remind us that what we do is more important than simply printing a story on a page. Members are an important part of our literary family. Members commit to annual donations, and receive benefits that allow them to participate in the organization in more meaningful ways. Become a member today and you’ll get subscriptions to our magazines, a monthly behind the scenes emailed newsletter, discounted educational programming, invitation to members only events, and more. Prefer to give a one-time donation? Click here. Already have a One Story account? How would you like to be listed in our magazine and on our web site? Please leave blank if you would prefer to be anonymous. 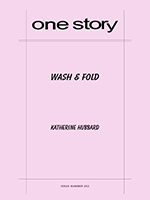 Your membership entitles you to a free subscription to One Story and One Teen Story. If you would like to redeem this now please check one below. You can always redeem your free subscription later if you choose. 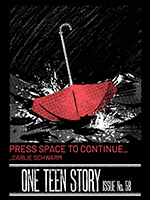 Redeem my free subscription to One Story and One Teen Story today.